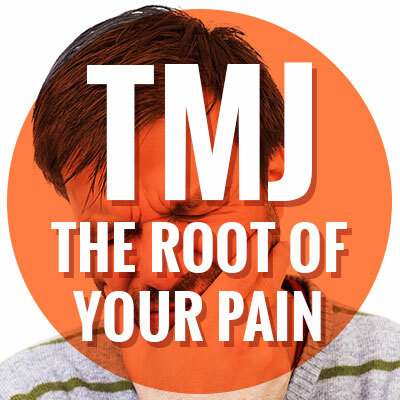 Temporomandibular joint dysfunction is a really long name … so let’s call it TMJ. That sounds more familiar -you’ve probably heard it before. Maybe some lingering pain in your chewing muscles and bones even have you wondering if you have it. TMJ dysfunction is sometimes called TMD, TMJD, or TMJ Syndrome, especially if there seem to be a number of other jaw-related issues. Dr. Kunick, Dr. Markham, Dr. Covelli, Dr. Bath-Juech, & Dr. Masek at Today’s Dentistry are here to tell you more about TMJ and what to do if you’ve got it. A sailboat requires a complex system of ropes, pulleys, and hooks to catch the wind in its sails and get moving. Your jaw is also made of an incredible team of muscles, bones, joints, and tissues working together in order to function. If anything affects any one part of these pieces in your jaw, it could lead to chronic pain and problems with the joints in your jaw. TMJ is a broad term that includes any of this pain or dysfunction. TMJ can feel like anything from a headache to an inner ear infection, with pain moving from your face and head down to your neck and shoulders. If you have TMJ, talking, chewing and yawning can be very uncomfortable. You might also hear clicking in your jaw, feel your jaw lock in place, or experience muscle spasms. Because TMJ has a variety of symptoms, it can be confusing to tell whether you have it. A dentist trained in assessing not only your mouth but your overall health and wellness may be especially helpful for diagnosing and treating TMJ. Don’t let TMJ pain interfere with your life. A combination of lifestyle changes and some help from your Cedarburg & West Bend dentist can have you on the up and up for good. Call us today to make an appointment to treat your TMJ!